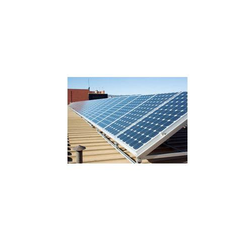 We are a leading Exporter of solar mounting structure and solar module mounting structure from Mumbai, India. Being one of the distinguished names of the market, we are engaged in offering precisely designed and developed Solar Mounting Structure. Made available in multiple specifications, these panels use light energy from the sun in order to generate electricity through photovoltaic effect. These lightweight and durable solar panels are electrically connected and mounted on a supporting structure. 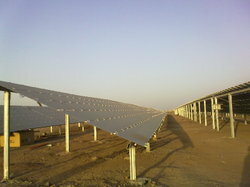 We introduce ourselves as an eminent organization to provide Solar Frame that is used in solar plant. These are highly demanded in market due to their fine finish and high strength. Our range of product is widely appreciated by our clients for their various distinctive features such as excellent strength, longer service life and optimum quality.